Product #160 | SKU 1015-005-240 | 0.0 (no ratings yet) Thanks for your rating! The Pelican 1015 Micro Case (Solid Black) is a water-resistant, crushproof, and dust proof Copolymer polycarbonate case with a rubber liner for extra protection that doubles as an o-ring seal. 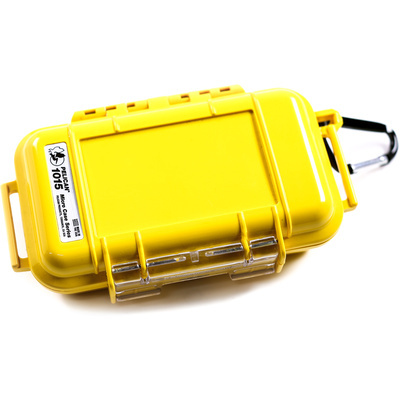 It is designed to carry small portable electronics such as, cameras and cell phones. It can be carried by a removable active sport carabiner that secures the case to a backpack or belt loop.